Rockerbox wasn’t founded to be an attribution company. Our first ~3 years were spent building technology to enable performant prospecting campaigns for Fortune 1000 brands. Throughout that process, we were exposed to various attribution vendors as they were often technologies evaluating our campaigns. The more we were forced to work with these vendors, the more we realized we didn’t love any of them. What problems did we encounter? Onboardings took up to a year and reporting was always weeks if not months delayed. Customers were forced into the same statistical models regardless of the unique elements of their business. Offline and online were never combined and reporting was extremely broad — completely impractical for a marketer. Even worse, with the market moving towards in-house and direct-to-consumer brands, we knew that none of the overpriced legacy enterprise grade solutions would suffice. All of this led us to launch Rockerbox Attribution Platform just over a year ago. It’s the attribution platform that modern in-house marketers want and need: fast, simple, enterprise-grade attribution that doesn’t come in the way of their existing media budget. Ron Jacobson is the Co-Founder and CEO of Rockerbox. Prior to Rockerbox, he managed the Real Time Platform product team at AppNexus. Ron is a McGill University alumn (Comp Sci + Econ), San Antonio Spurs fan, Triumph rider, late night coder and mentor to various NYC startups. Rick is the Co-Founder and CTO of Rockerbox. He directs the company's product and technology vision. Most recently, he led integrations at AppNexus for companies such as Facebook and Yahoo. He also was a founding data science engineer in AppNexus’ Marketplace-Analytics group. Rick holds a B.S. in Mathematics and Economics from Harvey Mudd College. James formerly worked in sales at AdKarma and the New York Yankees. He is a long distance runner and a hopeless New York Knicks season ticket holder. Dan was most recently a Client Success Partner at OrderGroove. He previously worked at AppNexus. Dan is a Syracuse alum, a basketball fanatic, and an optimistic Knicks season ticket holder. Jenny combines experience in project management and process improvement to lead operations in the Media Trading team at Rockerbox. She loves solving problems, Python, and cats! Rich is a software engineer at Rockerbox. 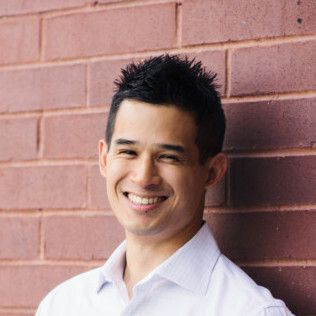 He earned a master’s degree in information systems management from Carnegie Mellon University and a bachelor’s degree in economics from University of Richmond. Eddie is a former startup CTO who is passionate about the stories data tell. He enjoys eating his way around the globe and all things sports related. Mor is an industrial engineer, who's passionate about the combination of data science and business strategies. She loves to travel to new places and explore the world through food. Nicole joined Rockerbox from the National Kidney Foundation. She is a Penn State alum and co-captained the 2014 Fencing NCAA champions. Nicole loves to travel and experience new cuisines. Rebecca comes to Rockerbox from UMWW where she was a planner for ExxonMobil and the U.S Army. She loves exploring the city, food, and dogs (specifically cockapoos). Saila is a recent graduate of NYU and is passionate about using data to deliver scalable and effective business outcomes. You can almost always find her scouring dog shelters looking for new furry siblings or living inside her favorite vegan restaurants. Sarah is a front end engineer at Rockerbox. She previously worked in project management at Upspring Media and graduated from Scripps College. She enjoys traveling, running, watching Netflix, studying Japanese, and rooting for the San Francisco Giants. Emaad is an Optimization Analyst at Rockerbox. He previously worked as a Research Associate at the Memorial Sloan Kettering Cancer Center. Emaad recently graduated from the Macaulay Honors College at Hunter College with a double major in Biochemistry and Mathematics. Sameen comes to Rockerbox via the acquisition of Eventable, where he was a Co-Founder and CEO. Sameen is a proud UC Berkeley dropout and a big believer in the power of innovation and entrepreneurship. Akash was previously a Co-Founder of Eventable. Now a Rockerboxer, sometimes a traveller, occasionally a story-teller and too rarely a scuba diver. Will is a full-stack software engineer at Rockerbox. He got into software development because he enjoys creating things and solving puzzles. Will is also a huge UConn sports fan (his alma mater), is a bit of a bookworm and loves playing golf. Michelle comes to Rockerbox via the acquisition of Eventable, where she led marketing. Michelle is a Fordham alum, yoga practitioner and lover of camping. Eddie joined Rockerbox from Backtrace and, prior to that, AppNexus, leading operations and implementations. He enjoys Brazilian jiu-jitsu, board games, his two dogs, and cooking. their customers and more efficiently grow their businesses.